It can be difficult to watch a horror movie even in the daytime. Horror movies are designed to use your natural fears (and sometimes create fears) to get a negative emotional response. If you feel bad while watching a horror movie, it’s doing its job. This week’s review did that and more. I watched last Tuesday and I am still creeped out. Robert Eggers is an American film director and screenwriter, best known for his 2015 film The Witch, originally titled The VVitch: A New-England Folktale. Did you know that The Witch is Eggers own script? It’s an old concept, that of a ghost story. But we are used to seeing modern tellings of these myths and legends. Eggers decided to direct a story about the beginnings of western culture. Set in New England The Witch is a tale of evil in the woods, plain and simple. The story is rather chilling too. In the 17th century a puritan family is banished from their larger plantation community because of the fathers accused pride (Ralph Ineson). We then watch husband and pregnant wife move to a large forest and build a farm there with their four children. Some time passes and Katherine (Kate Dickie) gives birth to their fifth child. The story slowly unfolds as newborn Samuel goes missing while the oldest girl Thomasin (Anya Taylor-Joy) is babysitting him near the woods. It reminds me very heavily of listening to a camp-fire story except we have the added bonus/cruelty of witnessing the story for ourselves. As a movie, The Witch functions as something of a slow-burn, carefully building towards the climax but not revealing the source of the kidnapping until the final scenes. This is intentional and helps to cement The Witch as a unique piece of horror cinema. Playing off elements of both ambiguity and very clear scenes, the fear and paranoia is what sets up the tension but the final scene and the lingering thoughts and feelings after the curtain call are what make this one so haunting. Pros: Horror has great potential to make you see things you didn’t want to see, when done right. This movie is one of those diamonds which is both scary and intelligent at the same time. Cons: Oddly enough, it does such a good job of accomplishing what it sets out to do, that I have a hard time recommending it to others to watch because they may either miss the point or be too heavily affected by it. Points of Interest: Eggers based his film on research of New England witch hysteria, several decades before the Salem Witch Trials. Stephen King admitted that he is terrified of this film, also The Satanic Temple has endorsed this film, if that means anything. 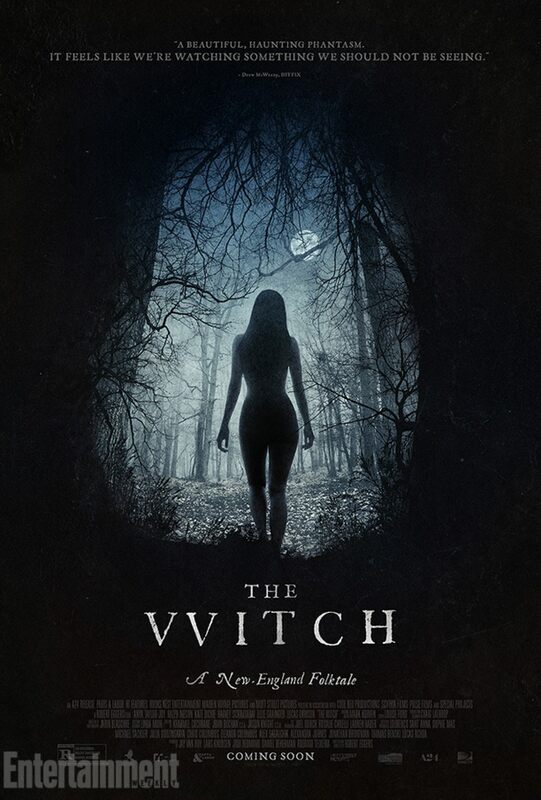 While I am not certain if this is a film focused solely on female empowerment, a classic and well-executed horror story, commentary on Christian themes or possibly a combination of the three, The Witch is like nothing I’ve seen in some time. The Witch has given me some bad dreams, I don’t think I’ll sleep well for a few weeks. Regardless of the terrors presented, this movie manages to walk a fine line between scary and conceptual, and while I wouldn’t recommend it to the impressionable or those with strong religious convictions, it is something to consider and think upon. Hopefully it doesn’t give you nightmares.